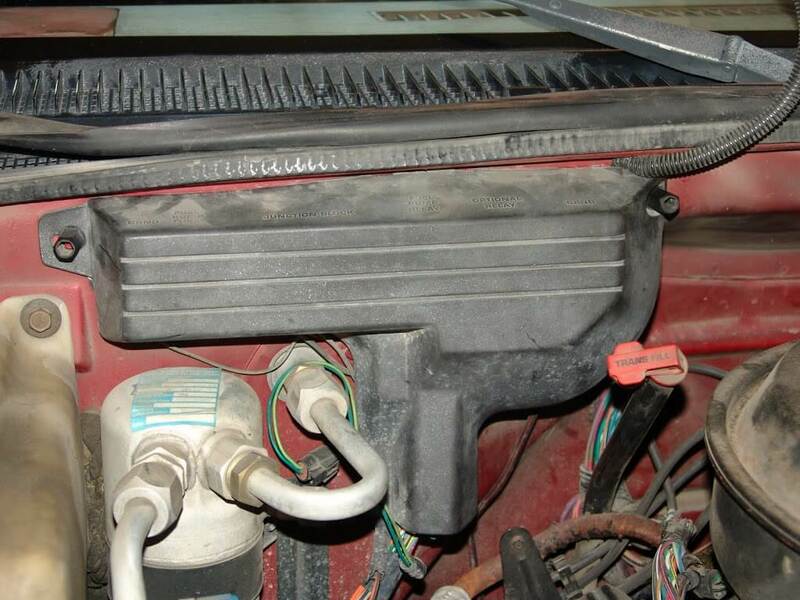 This 1990 Chevrolet K1500 Pickup came in with multiple complaints. The headlights and park lights did not work. The dome lights did not work and the horn did not work. 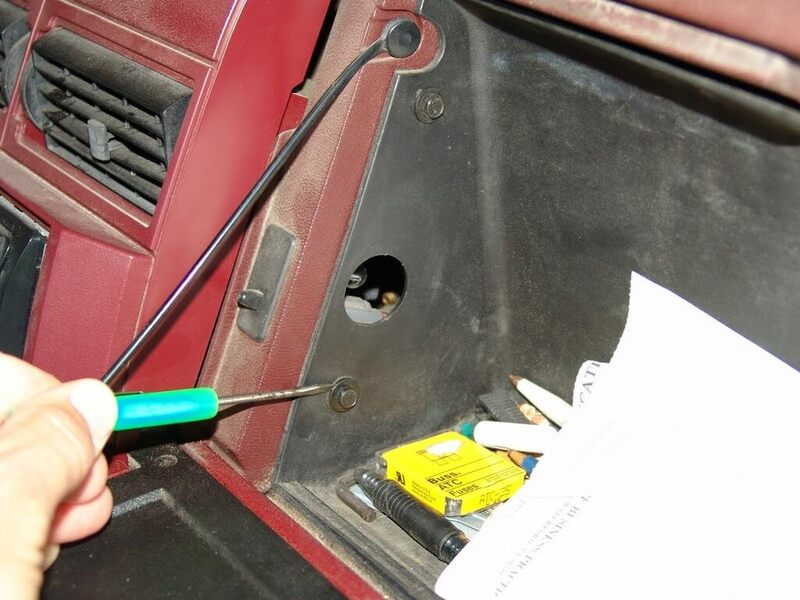 The vehicle owner had already found out that there were three dead fuses in the interior fuse box. It is kind of strange saying that as this truck only has one fuse box. It seems everything I now work on has multiple fuse boxes. I pulled the dash cover to check for power at the headlight switch and found none. There are four torx drive screws. One in each corner. Then tilt the steering column fully down and place the shifter in D1 position. 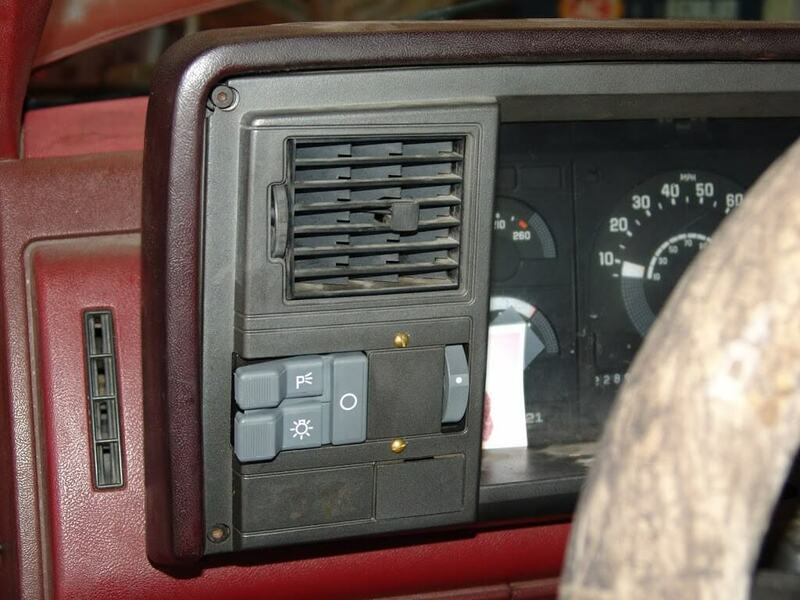 This allows enough room the maneuver the trim panel away from the dash and unplug the harness connectors for the light switches. The red and orange wires should have had constant battery power present. I also confirmed that courtesy and park light fuses were dead also. I inspected the fusible links under the hood on the passenger side firewall. They were all okay. 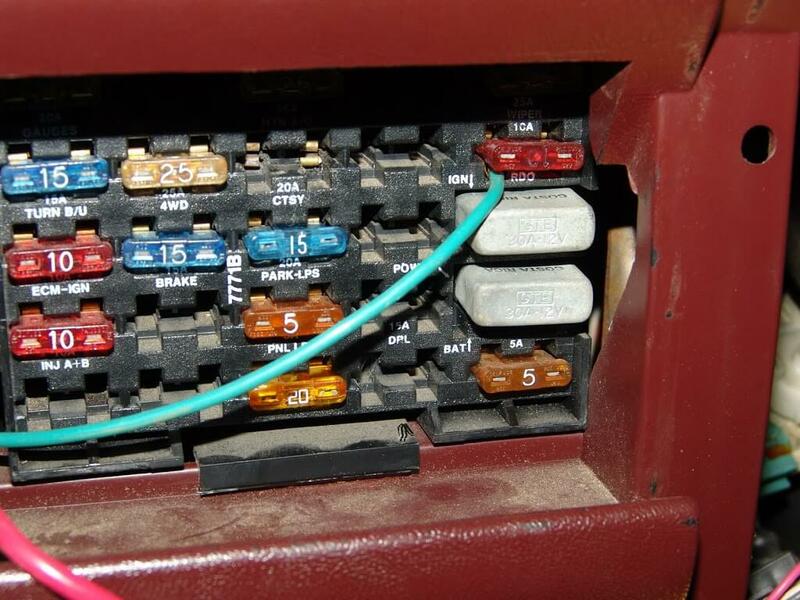 A little bit clearer view of the fuse box. This one took quite a while to find the answer because the wiring diagrams were not accurate. 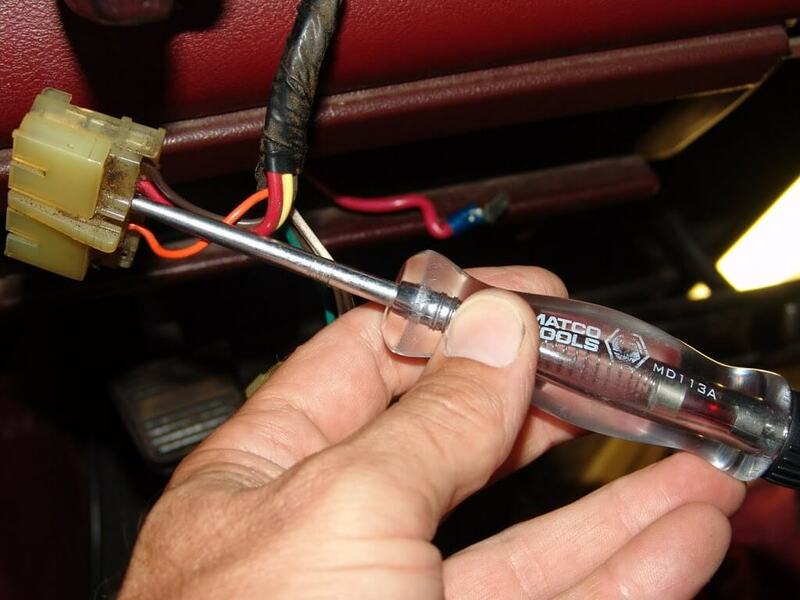 The diagrams showed the fuses getting power from the same source as the ignition switch. Not true in this case. 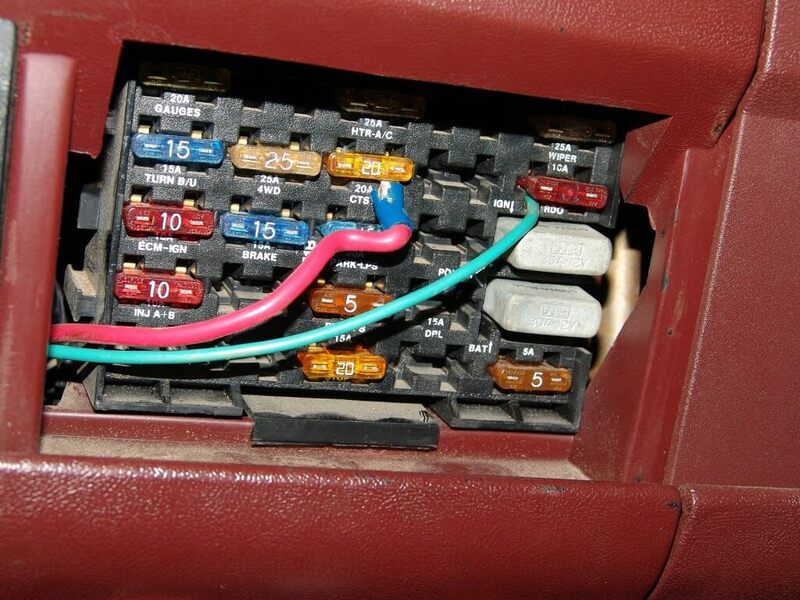 The thing that got me looking beyond the wiring diagram was the fact that the stoplights worked. According to the diagrams they shouldn’t. Realizing there was an undocumented power supply, I started looking at wire diameters and insulation finish. Of course I had to open the harness up under the dash to do this. None of the suspected wires matched in appearance. I started over at the fusible links. All were okay. I did however notice the insulation finish and found another direction to go in literally. This one red wire went into the passenger end of the firewall. I looked under the dash and could not find it. I removed the glove box liner. There are four screws that hold it in place. there it was, a single red wire with an in line connector. Power on one side. There it is, a single red wire with an in line connector. Power on one side. No power on the other side. 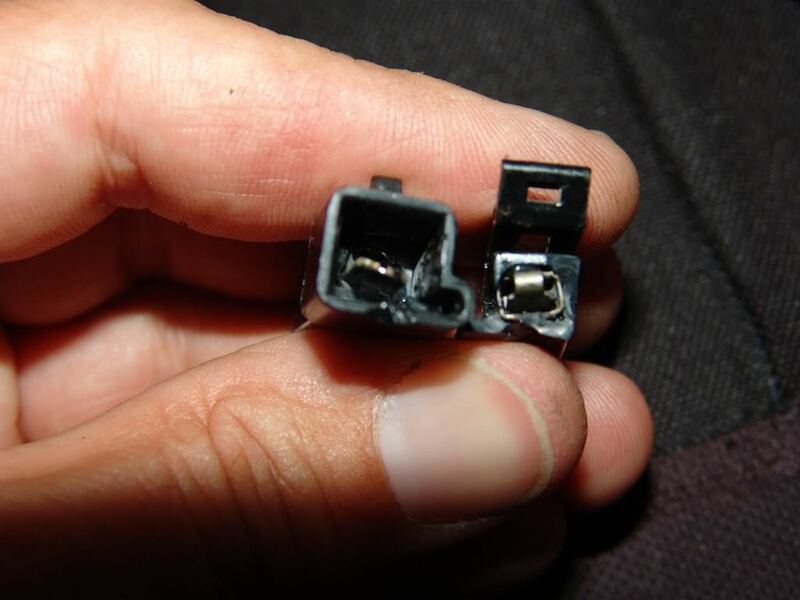 A burnt in line harness connector. 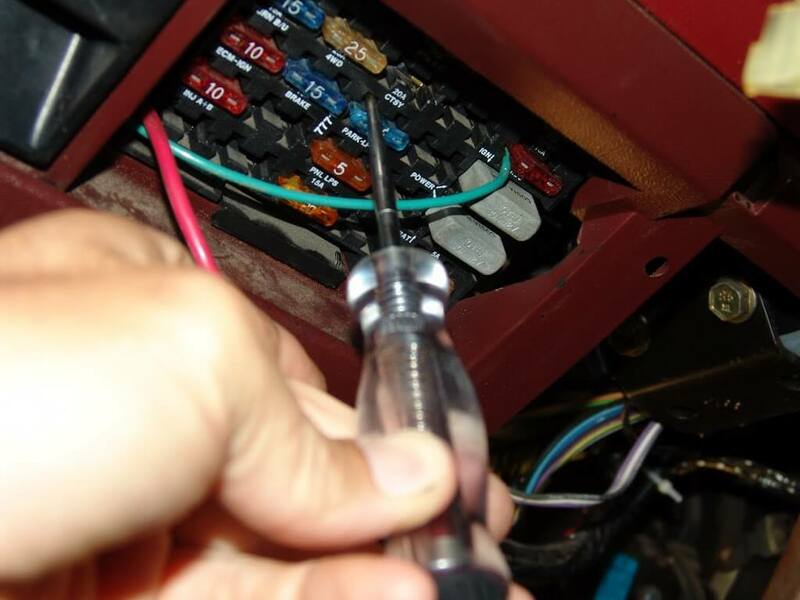 I cut it out and replaced it with a splicing connector. A quick reassuring check for power. Heat shrink tubing in place to insulate the connector. Now there is power at the headlight switch connector. Also at the fuses in the fuse box. Now for the reason the connector burnt out. 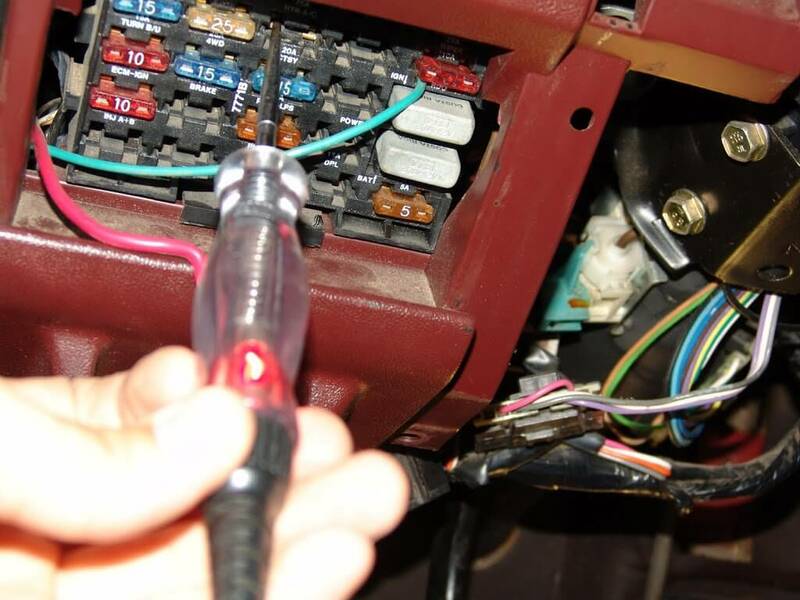 The red wire in the picture below feeds power to a radio amplifier. That amplifier overloaded the circuit and caused the in line connector to fail. In all of the years I worked on these trucks regularly, I never saw that connector burnt out. Now I have, but this one is now done. I am having almost the exact same issues with my 1990 Silverado. Does something need to be changed with the amplifier since it is the cause of the problem? 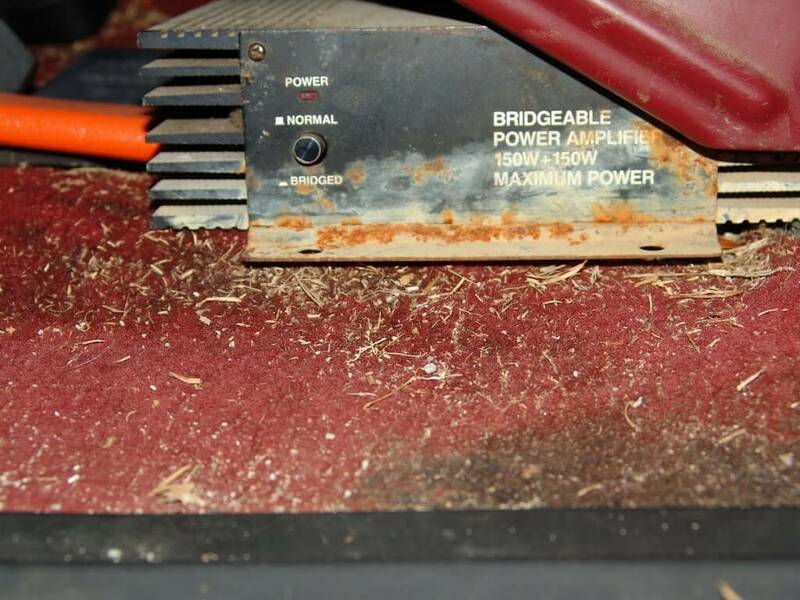 Do you have a similar amplifier installed in your truck and in the same manner? Is it still working and actively wired into the vehicle? The one in the article was an aftermarket added unit. 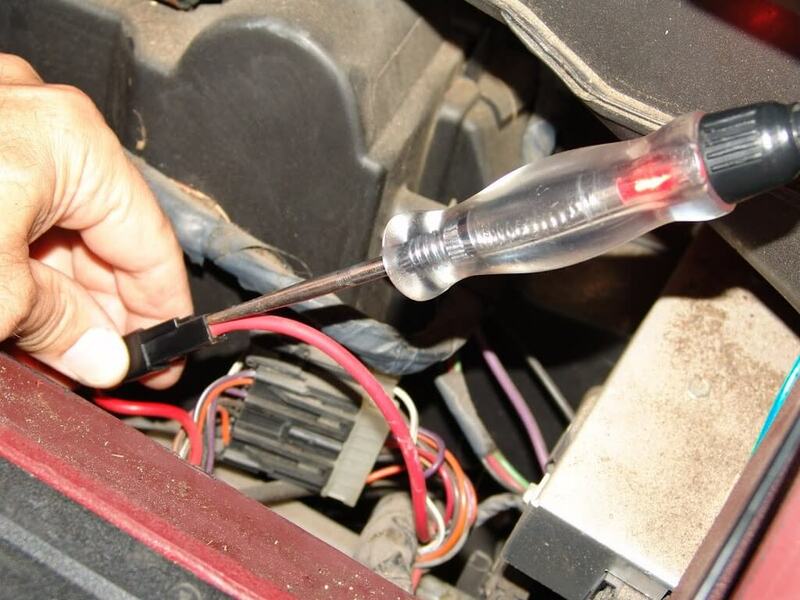 This fixed my head lights and dome light when I fixed the red wire. Still no tail lights but they quit at the same time. Please help all your post have saved my but so far. Thanks. 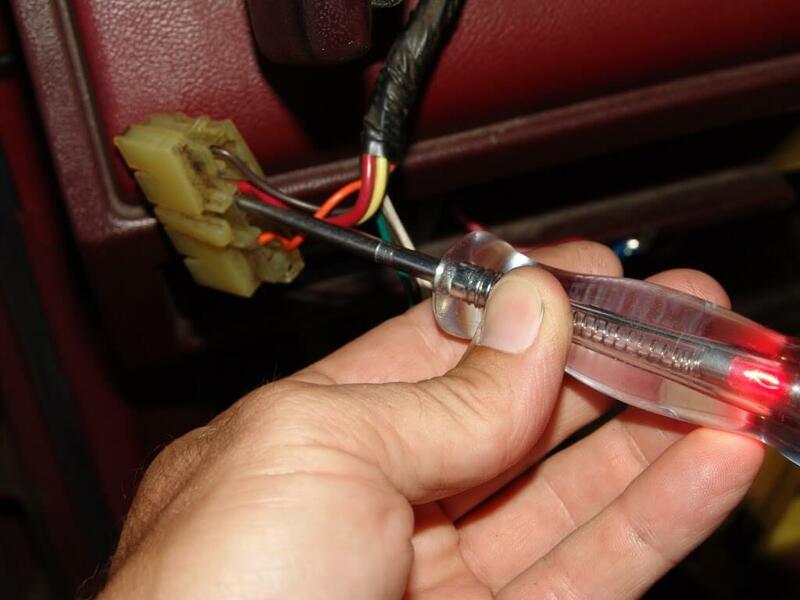 Start by checking the Park Light fuse in the underdash fuse box. It should have power at all times on both sides of the fuse. 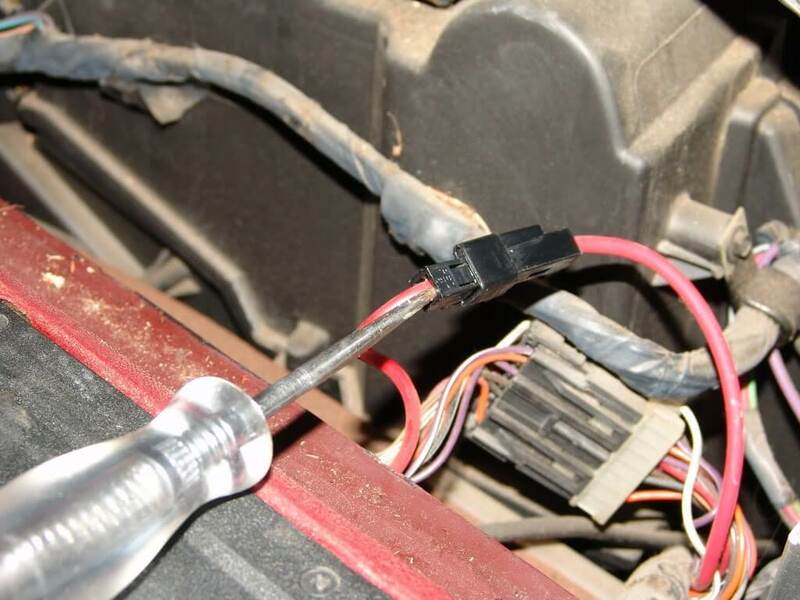 If okay check the orange wire at the headlight switch harness connector (power at all times). 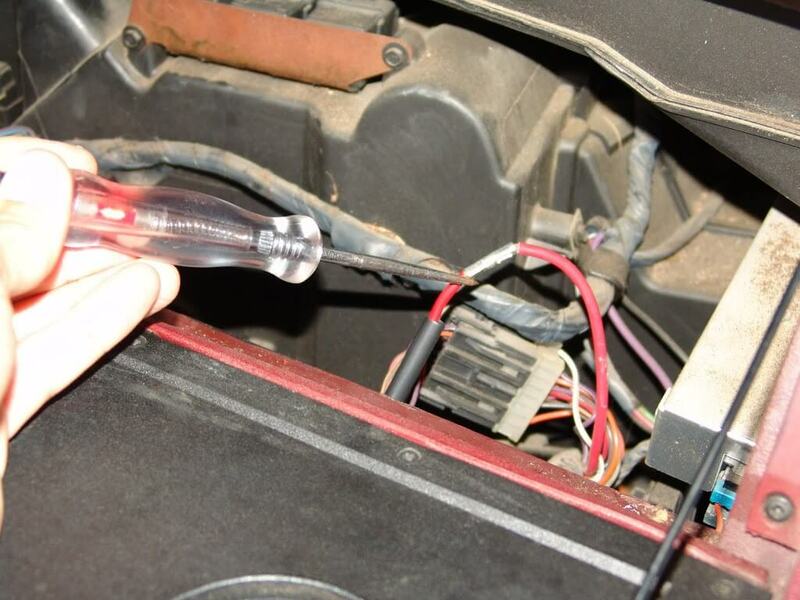 Turn the headlight switch on and check for power on the brown wire. 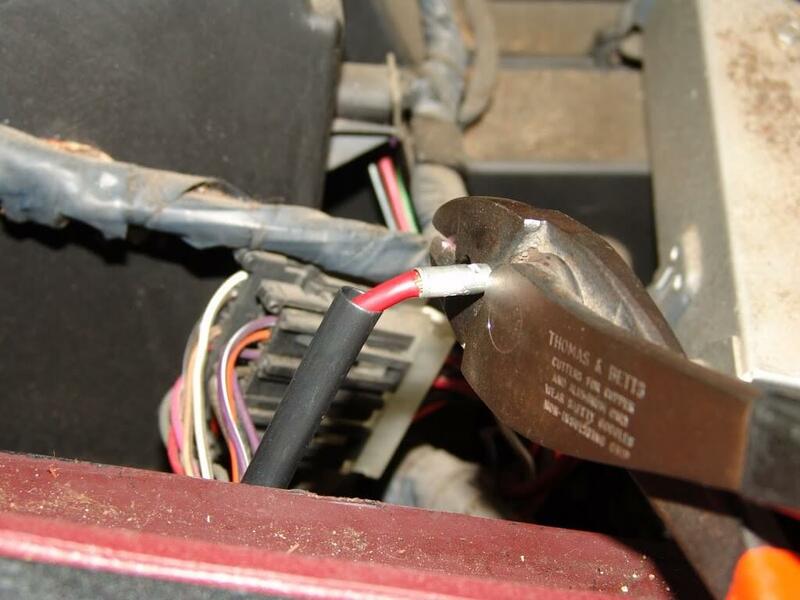 The brown wire supplies power to the park/tail lights. Thanks Sparky, this saved me A LOT of time. I had started at the switch and found no power, thats when I decided to do a search for similar related issues and on the 3rd page search I found your info! thanks for the photos and awesome write up! THANKS SPARKY. YOU SAVED ME A TON OF TIME. I HAD THE SAME PROBLEM. I WAS JUST ABOUT READY TO TEAR APART THE WIRING WHEN I REMEMBERED READING YOUR POST. 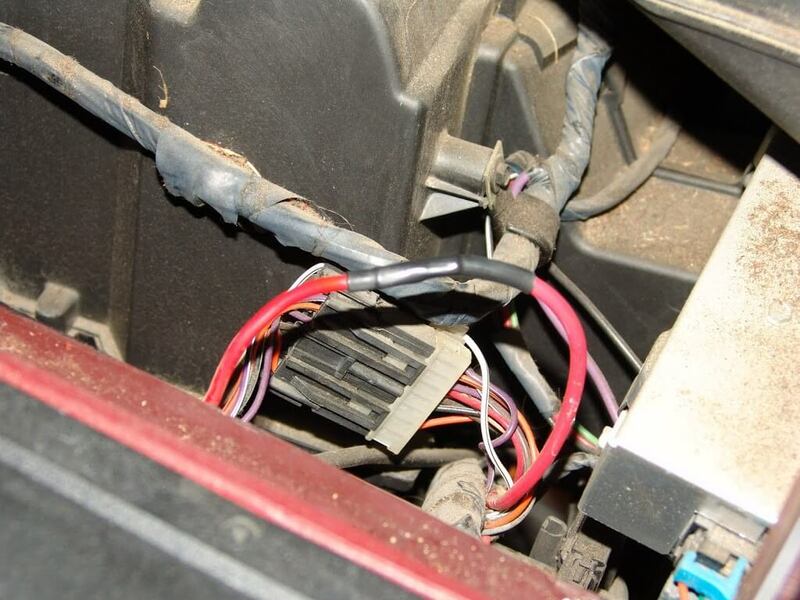 THE RED WIRE BEHIND THE GLOVE BOX HAD POWER ON ONE SIDE OF CONNECTOR BUT NOT ON OTHER SIDE. THE CONNECTOR WAS FUSED TOGETHER FROM THE HEAT, HAD TO TAKE TWO PAIRS OF PLIERS TO RIP IT APART. PUT IN NEW SPLICE AND ALL LIGHTS WORK AGAIN. SO GLAD I FOUND THIS POST.